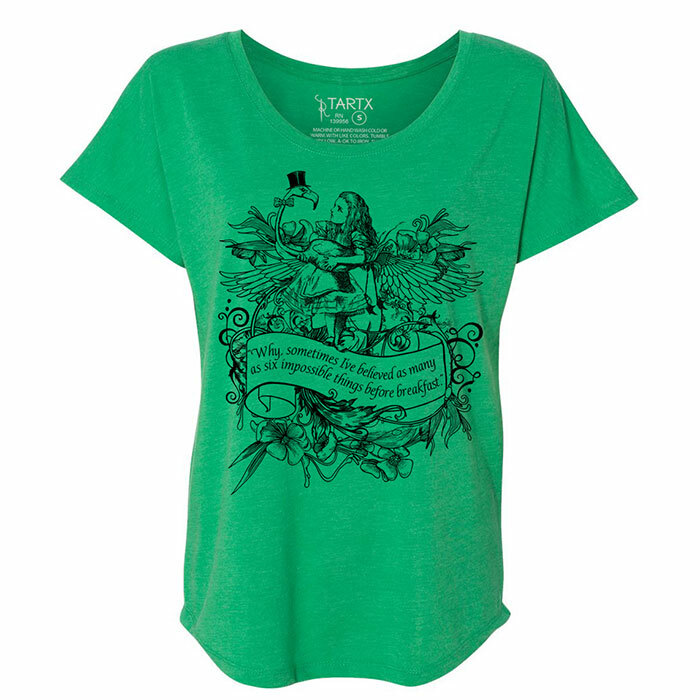 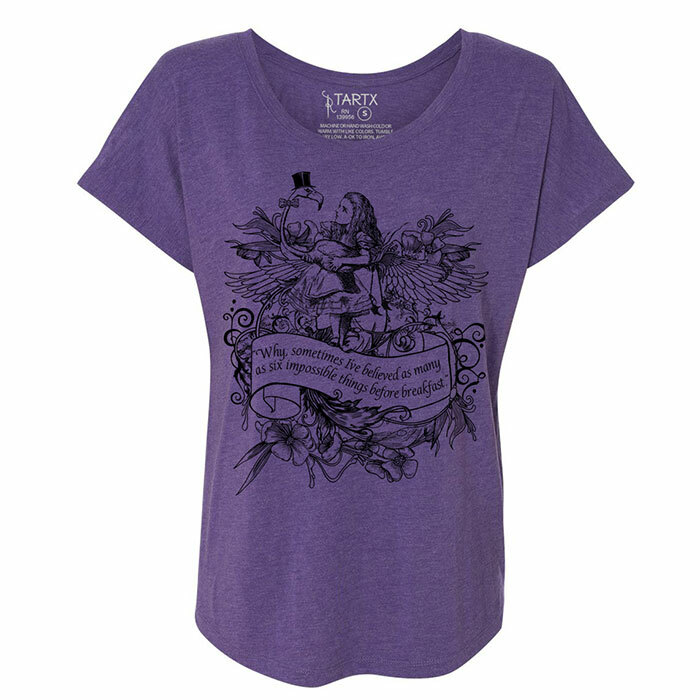 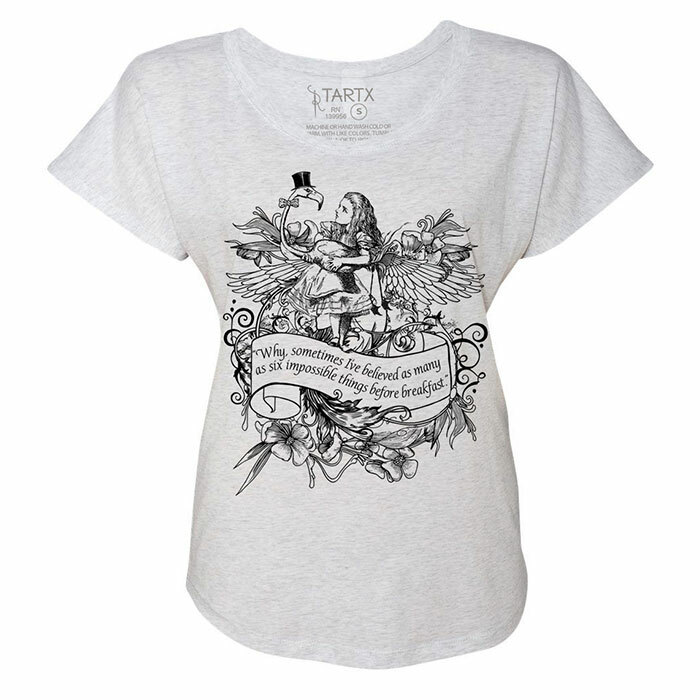 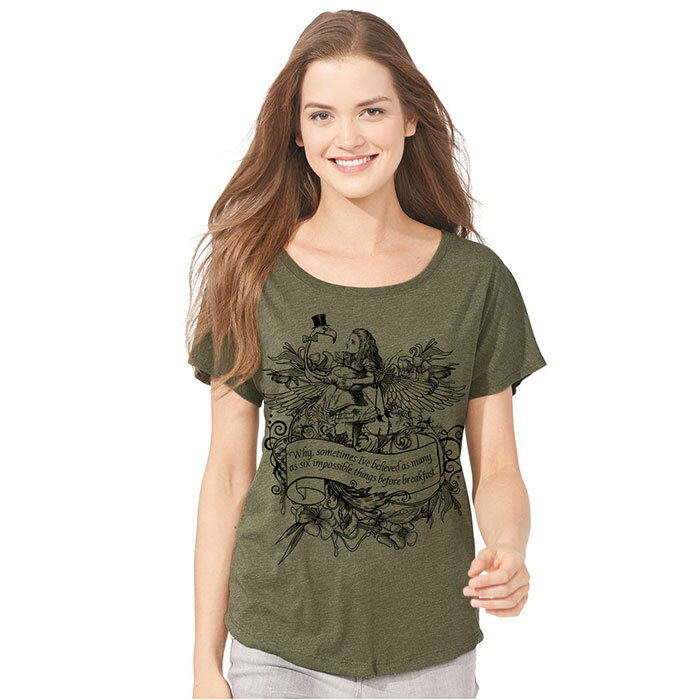 This T-shirt features a drawing and design of mine titled Birds Of A Feather. 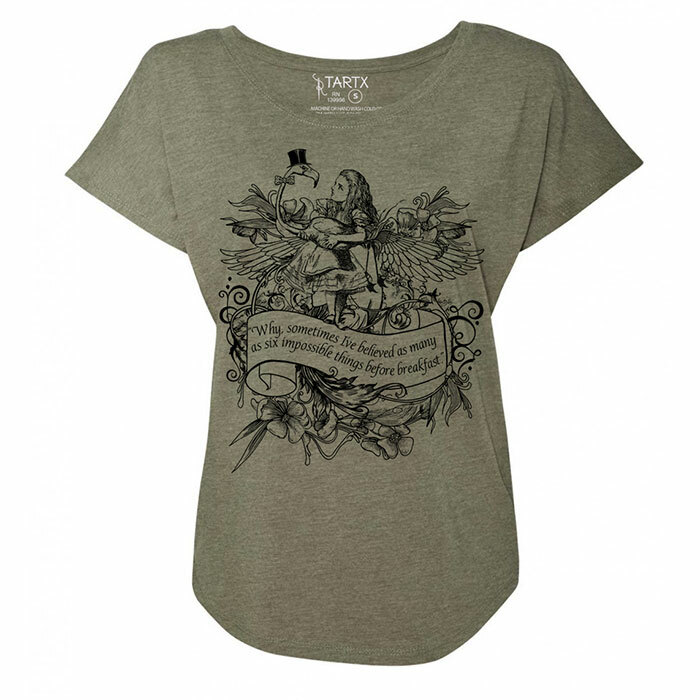 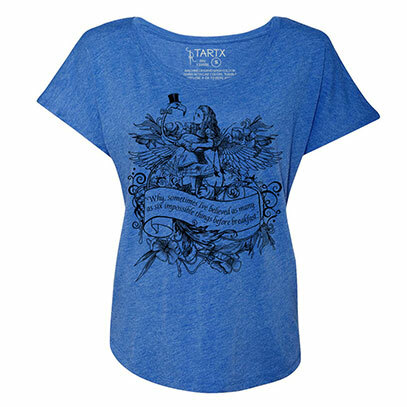 The design is based on an illustration by Sir John Tenniel of Alice trying to play croquet with a flamingo as a mallet. I have added a top hat and bow tie to the dapper flamingo. 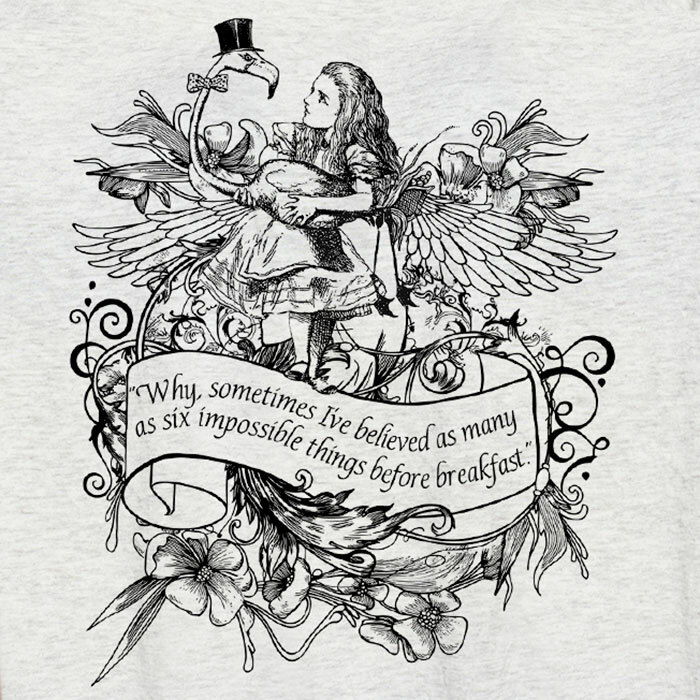 The quote from Alice's Adventures in Wonderland is "Why, sometimes I've believed as many as six impossible things before breakfast". 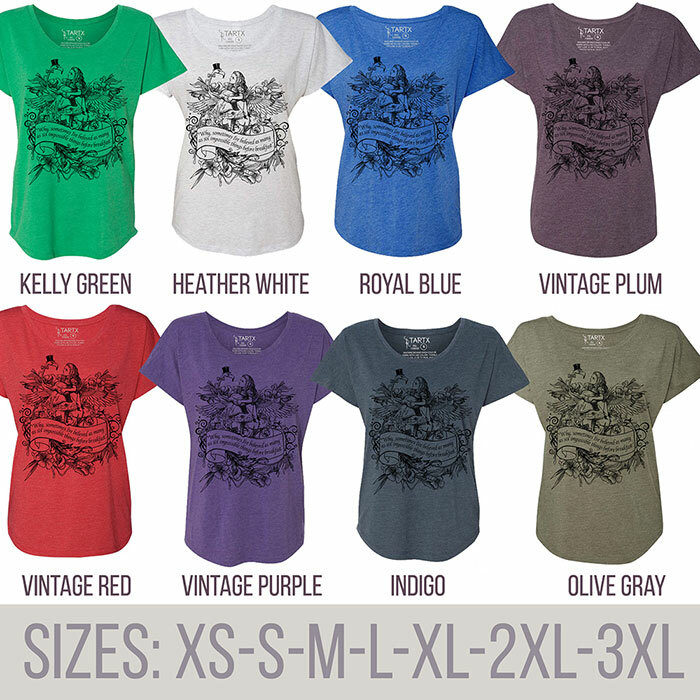 Colors:Kelly Green, Vintage Red, Royal Blue, Vintage Plum, Indigo, Heather White, Olive Gray and Vintage Purple.